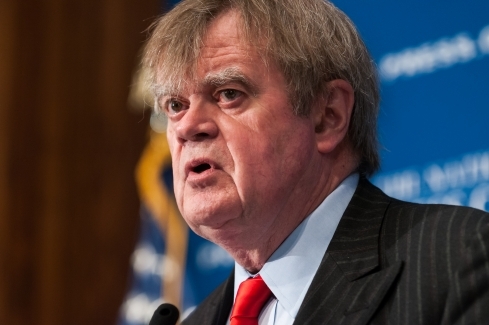 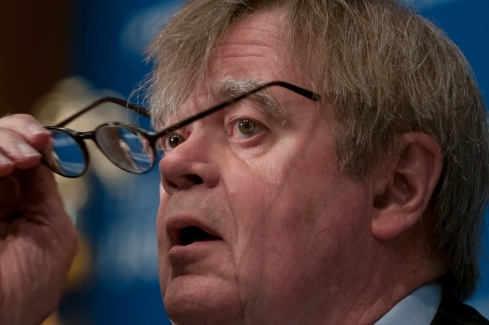 Garrison Keillor, host of A Prairie Home Companion, speaks at a National Press Club Luncheon, May 22, 2015. 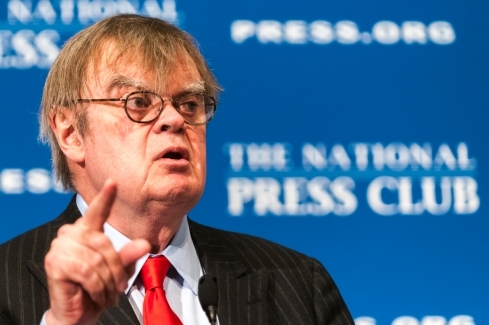 Keillor delineated his list of “Fifteen Things That Need to Happen Tomorrow,” to the assembled members and guests. 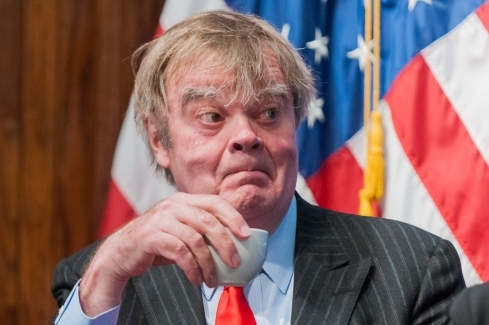 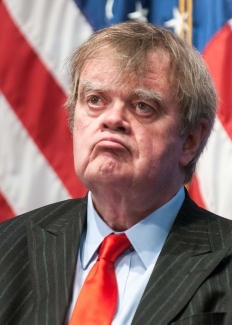 When asked if he would provide a reprise of an earlier vocal performance at the club, Mr. Keillor led the audience singing "America the Beautiful."